A new upscale gated community offering spectacular 4 to 12 bedroom vacation villas which are set against a backdrop of landscaped gardens, woodlands and lakes. Designed with a classic Florida theme, each villa has a private pool and hot tub, with larger villas having multiple master suites, a games room and even a home cinema! What makes Encore at Reunion Resort extra special are the amenities it offers to guests. There is a central clubhouse, with fitness centre, restaurants, a bar, spa and even a golf academy. The clubhouse overlooks the family-friendly AquaPark, which includes a huge pool with cabanas, water slides, a huge drop slide and children’s splash area. If you are feeling energetic, there are also tennis courts, a basketball court and volleyball court, as well as outdoor soccer pitches. Encore is very much a resort within a resort, offering 24 hour concierge and shuttle buses to both the theme parks and shopping centres. With an on-site shop and restaurants, you can always stay local for those essentials. The US192 with its shops and restaurants is around 3.5 miles north and the Formosa Gardens Village shopping complex, which has a supermarket and pharmacy, walk-in medical centre, liquor store and a selection of other shops (including an ATM cash machine) is a further 3.5 miles east on highway US192. 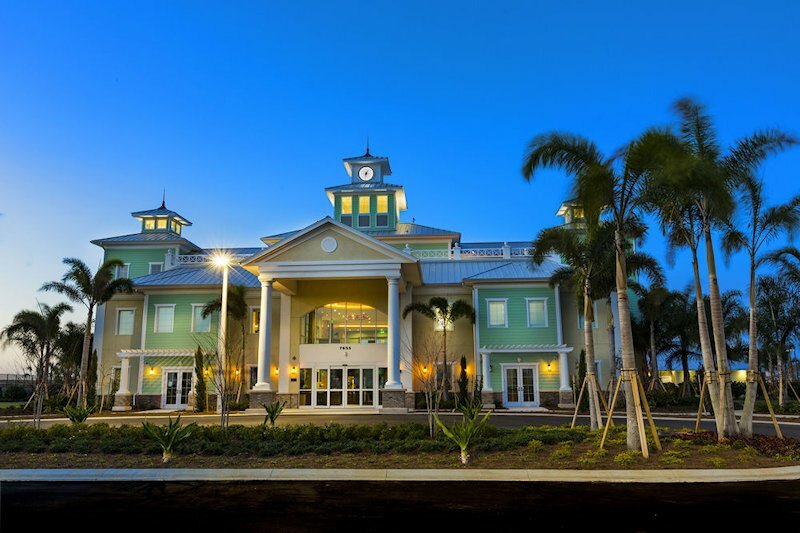 Encore at Reunion Resort is located around 3.5 miles south of highway US192 (the main road through to Kissimmee). This or Interstate 4 offer the most straightforward driving route to Walt Disney World. Similarly, for Universal Studios, SeaWorld and the International Drive area, head for Interstate 4 then north towards Orlando. Orlando International airport is accessible from Interstate 4 and the Beachline Expressway SR528. This is also the route to Kennedy Space Center and Cocoa Beach.